How to use Use the gel blender to dab liquid or cushion formulas onto the face and the red, diamond-cut brush to buff and diffuse pigment for a soft-focus finish. 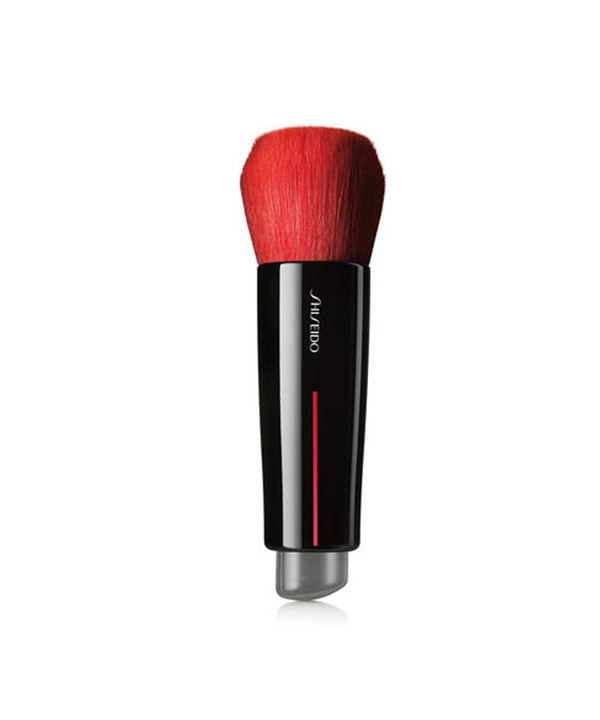 Key ingredients - Hidden Core Technology: Densely packed bristles create a sturdy interior that is surrounded by a perimeter of soft, flexible fibers for easy blending and a streak-free finish. - Synthetic Bristles: Compatible with all makeup textures, these animal-friendly fibers feature tapered tips that conform to fine lines and facial contours. -Polyurethane Blender: The non-porous gel prevents product absorption while the bouncy texture precisely deposits pigment for full, even coverage.